Richard Keirn was born on July 29, 1924, in Akron, Ohio. He enlisted in the U.S. Army Reserve on November 10, 1942, and was accepted into the Aviation Cadet Program of the U.S. Army Air Forces on February 15, 1943. He was awarded his pilot wings and promoted to Flight Officer on January 7, 1944, and began flying B-17 Flying Fortress bombers in the European Theater in August 1944. On September 11, 1944, Keirn's B-17 was shot down and he was taken as a Prisoner of War by the Germans. After spending 237 days in captivity, he was repatriated on May 5, 1945. Keirn received his commission as a 2Lt in the Army Air Forces on May 17, 1946. He went into the Air Force Reserve on March 31, 1947, and joined the Ohio Air National Guard on June 3, 1948. 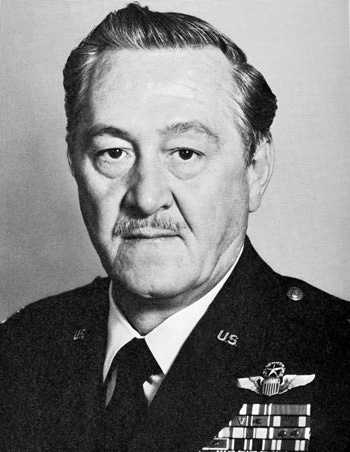 Captain Keirn went back on active duty with the Air Force on December 10, 1956, and served as a fighter pilot at Langley AFB, Virginia, Kadena AB, Okinawa, Seymour-Johnson AFB, North Carolina, and MacDill AFB, Florida, before flying combat missions in Southeast Asia with the 47th Tactical Fighter Squadron in July 1965. On July 24, 1965, Major Keirn was forced to eject from his stricken F-4C Phantom II and was captured the next day and taken as a Prisoner of War by the North Vietnamese. After spending 2,760 days in captivity, Col Keirn was released during Operation Homecoming on February 12, 1973. After hospitalization, Keirn attended Air War College at Maxwell AFB, Alabama, before being assigned to the 507th Tactical Air Control Group at Shaw AFB, South Carolina, from May 1974 to April 1975. His final assignment was as Director of Operational Services, Deputy Chief of Staff for Operations with Headquarters 9th Air Force at Shaw AFB, from April 1975 until his retirement from the Air Force on July 1, 1976. Colonel Keirn is one of only two Vietnam Prisoners of War to have been held as a POW twice. Richard Keirn died on May 25, 2000. For the Period August 1967. 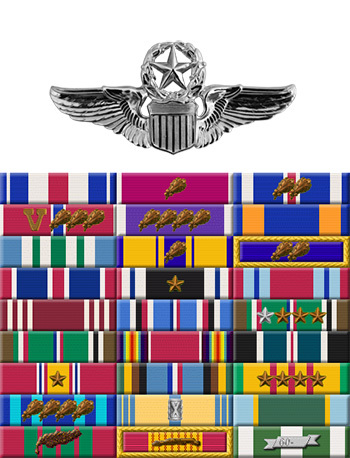 This officer distinguished himself by gallantry and intrepidity in action in connection with military operations against an opposing armed force during the above period while a Prisoner of War in North Vietnam. Ignoring international agreements on treatment of prisoners of war, the enemy resorted to mental and physical cruelties to obtain information, confessions, and propaganda materials. This individual resisted their demands by calling upon his deepest inner strengths in a manner which reflected his devotion to duty and great credit upon himself and the United States Air Force.